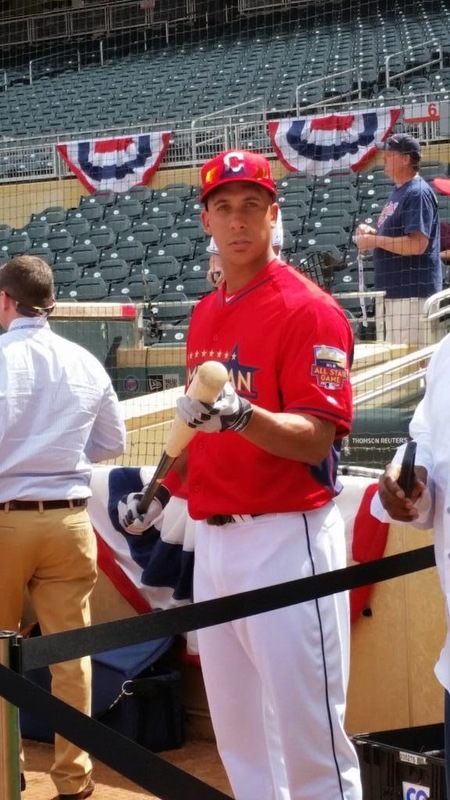 Michael Brantley was part of the 85th annual All Star game on July 15, 2014 at Target Field in Minneapolis, Minnesota. 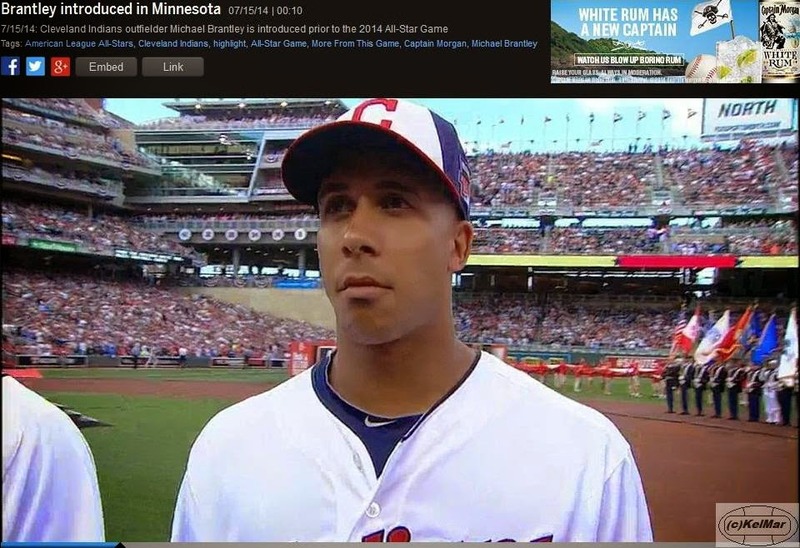 it was his first big league All Star experience. and i've got all the deets. Michael did a lot of press on Monday, July 14. again, he said this is something he's dreamt about as a kid and feels blessed and honored to be a part of it. 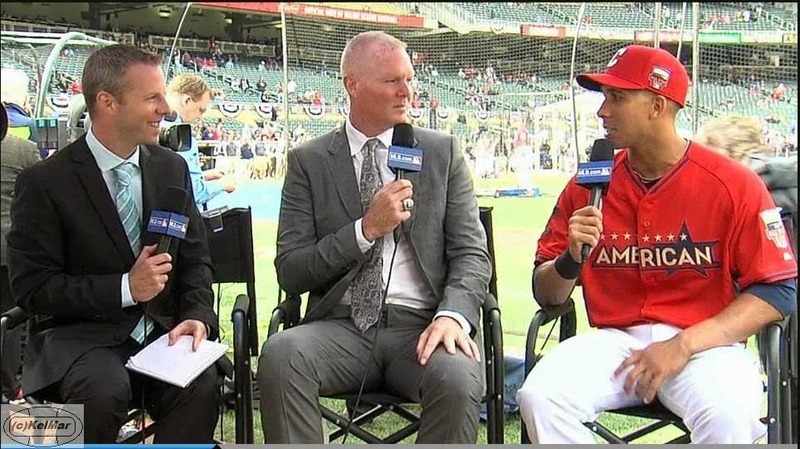 before the Home Run Derby later that night, he did a preshow interview. in his interview, he once again said that this is an experience he'll never forget. he's happy and feels honored to be part of Derek Jeter's final All Star game. since he's not at the game with any other current Indians players, he's been talking with former Indian Scott Kazmir. he mentioned how his role on the team has changed in that he's batting 3rd now and has more opportunities to drive in guys. he worked hard in the offseason and takes advantage of good pitches. he worked hard with his dad in the offseason and it's paying off. he gives a lot of credit to his father, saying he is the biggest influence on his career. "he's here to have this with me, this experience. without him, i don't know if i could be here right now at this level. he taught me a lot of what i know. i still use him for information today." Michael came into the All Star break batting .322. he's put up some incredible numbers and career highs in this 1st half of the season. "i'm getting older and getting smarter. 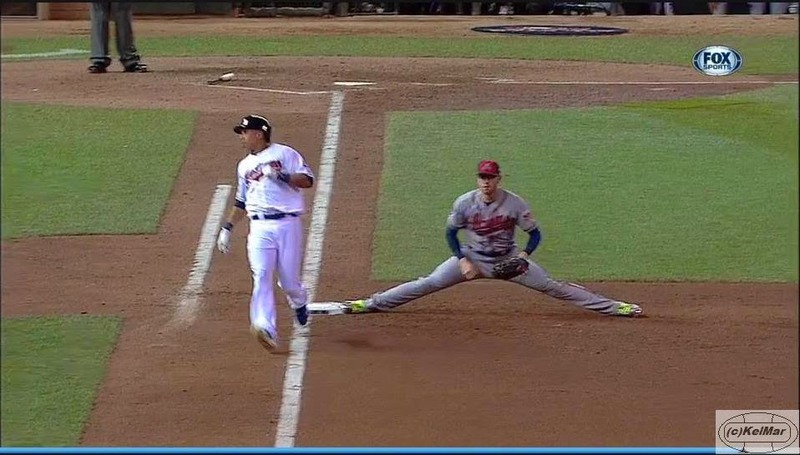 the game of baseball is changing. i'm making the changes at the right time. every day i have a good game plan. the pitchers, i've faced more than one time and i'm using that to my advantage." 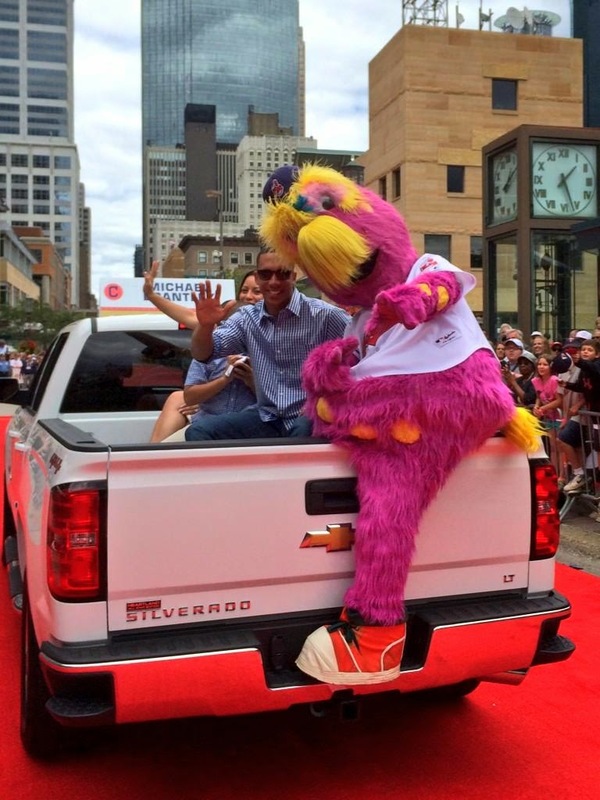 on Tuesday, July 15, before the All Star game, Michael and his family took part in the pregame All Stars parade. "i'm just having fun, enjoying it," said Michael. "my mom, my father, my wife, my kids, my sister, and my in-laws are all here. i think when you go through an experience like this, the people that helped you get here should be here to enjoy it, too." what does he hope to take away from being on the All Star squad? "to make sure i soak it all in. that was my only expectation. make sure i enjoy this experience, keep my eyes open, my mouth shut, and just soak it all in." but that's not the only thing he wanted from this experience. "i want to have a couple memories to put up on the wall. a Derek Jeter autograph is up there on the list." Michael also spoke highly of Derek Jeter. "he's been a great person in this game for so many years. the way he's played the game and handled himself every year, i think it's phenomenal. he always treated with me the utmost respect, even as a rookie. that meant the world to me." later in the day, Michael took part in batting practice before the game. shortly after 7:30 pm, it was time for the players to be announced before the game started. 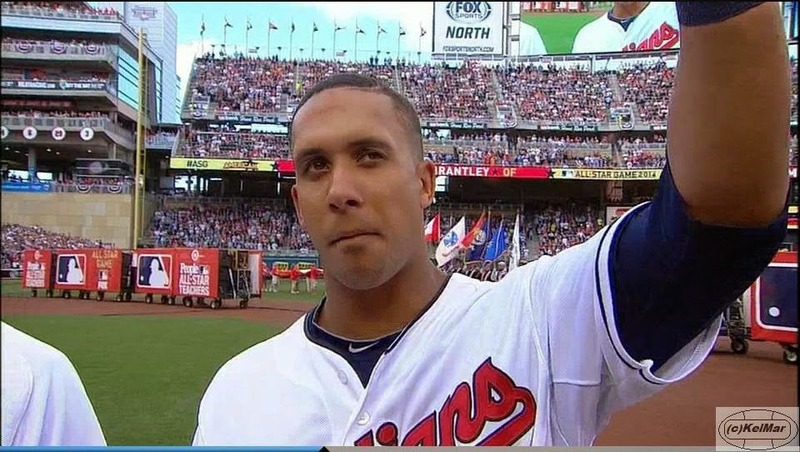 i gotta admit, my eyes welled up when Michael was introduced as an American League All Star team player. that made me so happy and proud. he looked cool, calm, and collected. i'm not surprised that he didn't get much applause, this game did take place in Minnesota after all, but Michael's just gonna be Michael regardless of the haters hatin'. then in the bottom of the 6th inning, Michael had his first career All Star game at bat in the 8th spot in the lineup. he faced Milwaukee Brewers' right-handed pitcher Francisco Rodriguez. with the American League up 5-3 and Adrian Beltre on 1st base and 2 outs in the inning, Michael grounded out to 2nd base after a 1-0 count to end the inning. 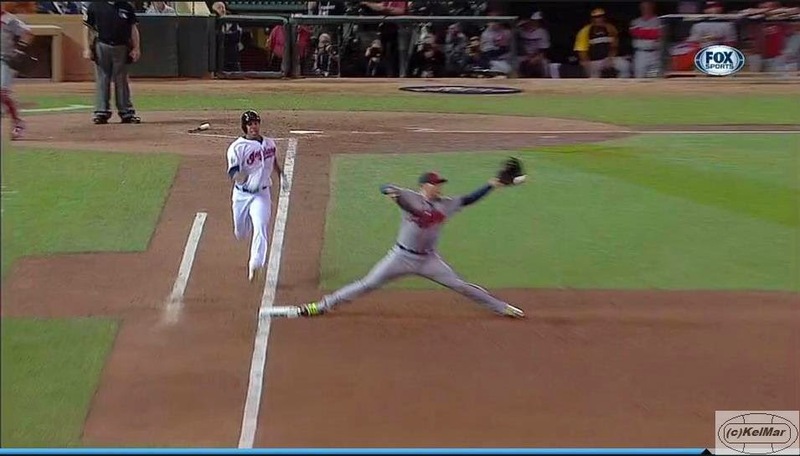 he was robbed of a hit when LA Dodgers' 2nd baseman Dee Gordon made a diving stop and threw Michael out at 1st by a step. 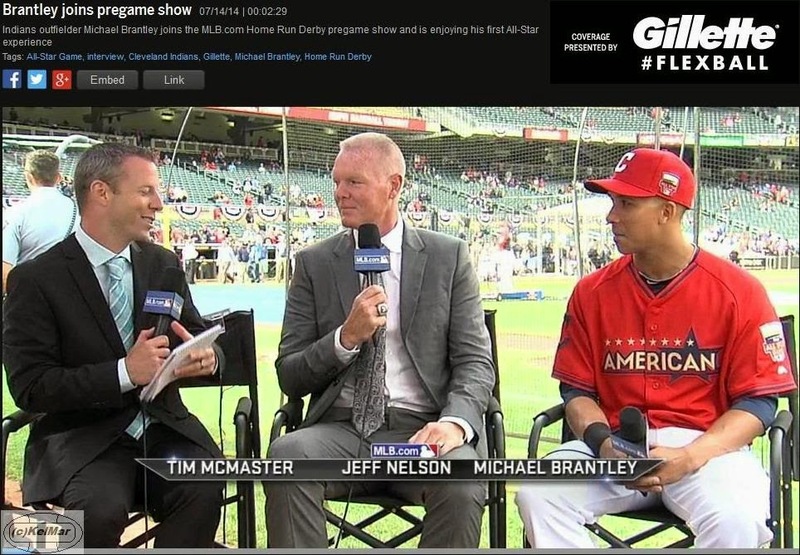 after the game, Michael said, "this is the All Star game. the players are good at every position. it was a great game and i'm proud to be a part of it. Derek Jeter is a Hall of Famer. 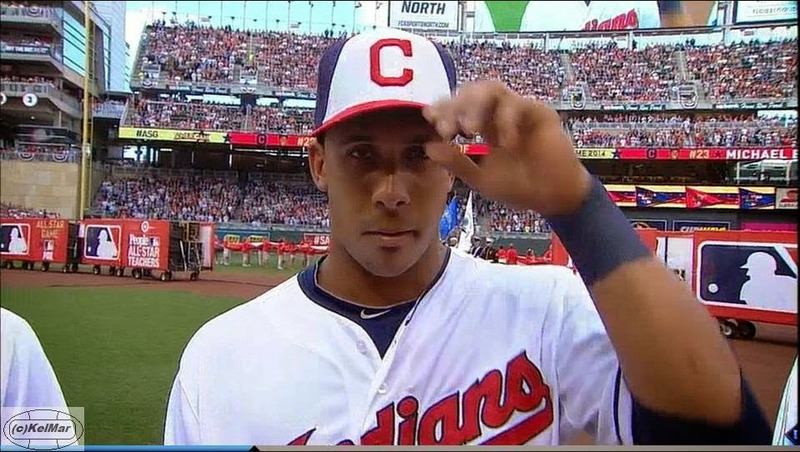 to be at his last All Star game is something you can't make up. it's something i'll tell my kids about and hopefully they'll tell their kids about." "it was probably one of the best experiences i've had in a long time. this field's going to mean so much to me when i look back on my career. we had our first playoff berth here. i had my first All Star game here. it's just exciting." Michael was also excited that his father was there to share this experience with him. "he taught me everything i know about baseball, from when i was born to now. i'll always lean on him. he's seen way more than i've seen. he taught way more players, and i just cherish the memories that we're going to share together throughout this baseball process." 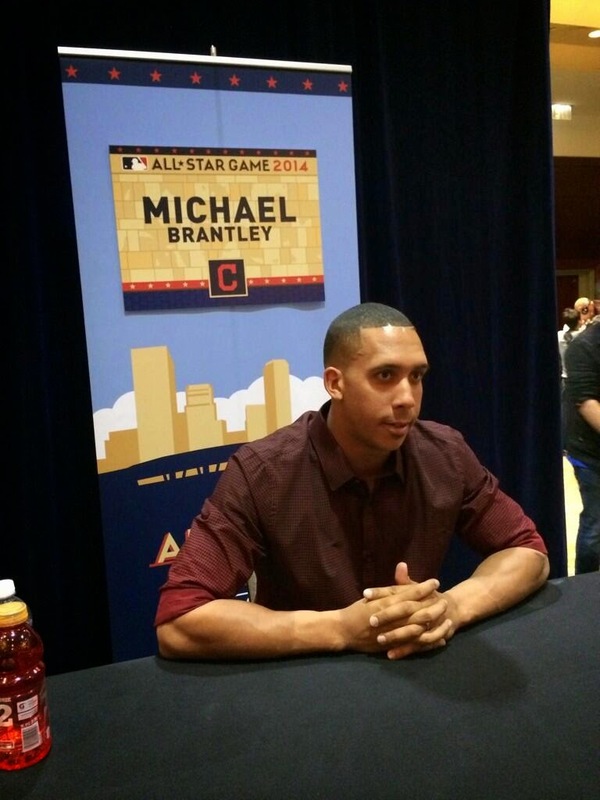 now i am going to break down his All Star game #s and the 8th spot #s, as well as the center field #s and overall outfield #s.
Michael played in the 2014 All Star game on July 15, 2014. he came in as a defensive substitute in the top of the 6th inning and played 4 innings in center field in this 1 game. 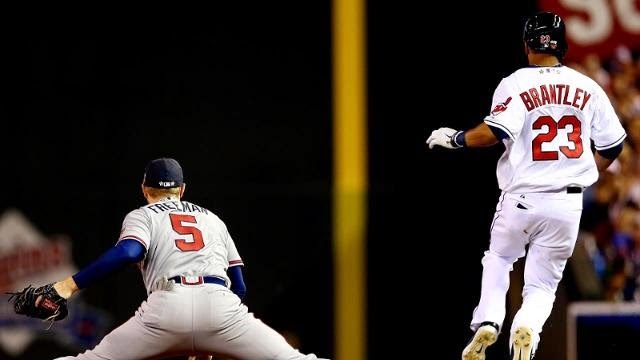 Michael bat .000 (0-for-1) against right-handed pitchers in the All Star game, .000 (0-for-1) with runners on base in the All Star game, and .000 (0-for-1) with 2 outs in an inning in the All Star game. Michael played errorless defense in center field for 4 innings, giving him a perfect 1.000 fielding percentage. he recorded 1 putout in the game, the 1st out in the top of the 9th inning. now my game numbers and notes. in the 2014 All Star game, Michael had a total of 1 plate appearance and 1 at bat in 1 game (4 innings). in total, he had 0 hits, 1 left on base, and 1 putout.